Tokyo is cold and it is very much still winter here. Have I said that I love the cold? It always surprises me when in the midst of the cold dreary days I see a glimpse of spring. I live in the perfect place to experience the seasons. Arisugawa park is across the road and has some of the most glorious autumn leaves and that is where I always spot the first plum blossoms in February. Then surrounding the Aiiku Hospital, also across the road, are cherry trees so I get experience them in all their glory at the end of March. You are lucky-you live in such a great location! 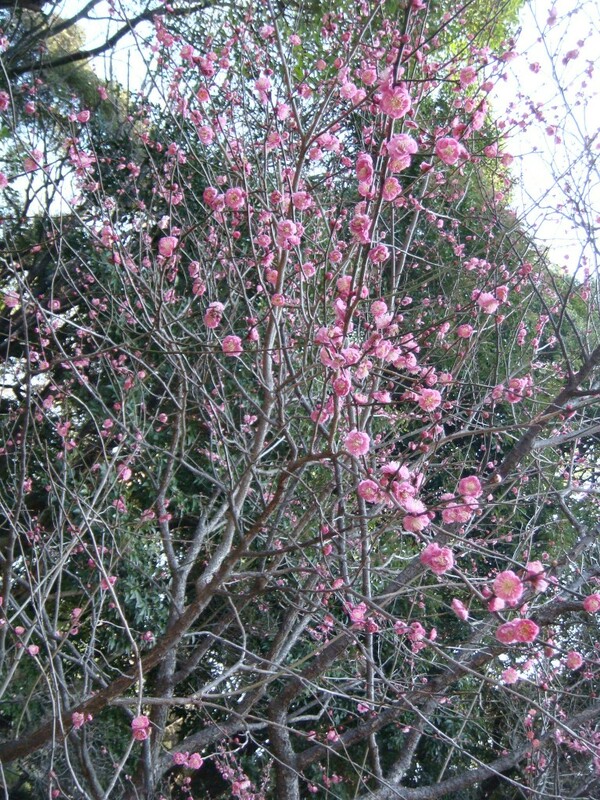 I was hoping the cherry blossoms would be a little late this year since I am coming in April. I would love to see them so I will hope some linger for us to see. We still have lots of snow on the ground so your picture gave me a spark of spring fever!! !